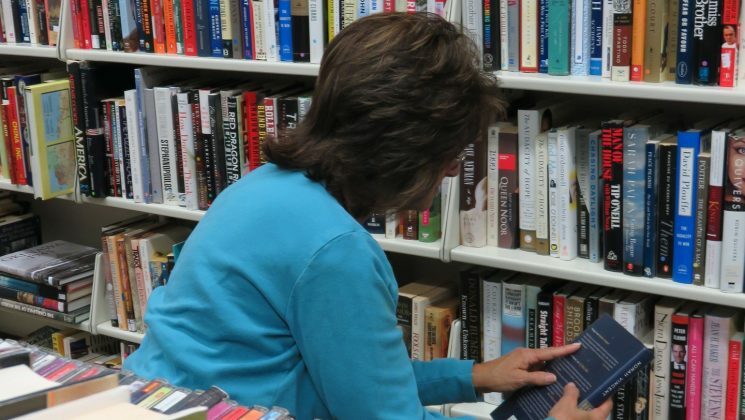 Essex County Council has announced plans to close a third of its libraries and draft in volunteers to keep others running. The council is launching a consultation, running for 12 weeks from 29 November on closing 25 libraries, handing 18 over to be fully run by volunteers, giving volunteers a greater role at 16 more, leaving just 15 to run as they are now. The 18 earmarked to be run solely by volunteers would close down within a year if no “suitable partners” are found to run them. UNISON Eastern regional manager Tim Roberts said: “Essex County Council is threatening to rip the heart out of our communities. 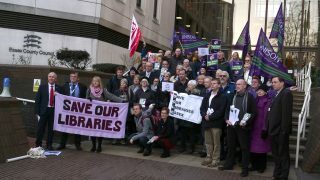 “If the only thing libraries did was make knowledge available to all, then these closures would be an act of cultural vandalism – but the fact is they do so much more, from children’s story times to helping elderly and vulnerable people connect with the world around them. “And we can’t run a high-quality and accountable library service on goodwill alone. If we want our kids to fall in love with reading, we need properly trained, properly paid staff to guide them through the process in properly resourced libraries. 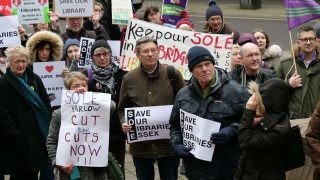 The 25 libraries earmarked for closure are Broomfield, Buckhurst Hill, Chigwell, Danbury, Debden, Fryerns, Galleywood, Great Wakering, Hatfield Peverel, Holland-on-Sea, Hullbridge, Kelvedon, Mark Hall, North Weald, Prettygate, Sible Hedingham, Silver End, Southminster, Stansted, Stock, Thaxted, Tye Green, Vange, Wickham Bishops and Writtle.